The Brown Needle: Finished Pillow! Here is my finished pillow! I'm really loving how it turned out! And I must say, it really looks good in my living room! I chose a white border and the back is navy. Once I finished the pillow, I realized that I didn't have an 18-inch pillow form anywhere in my house, so I got creative (thrifty) and made one. 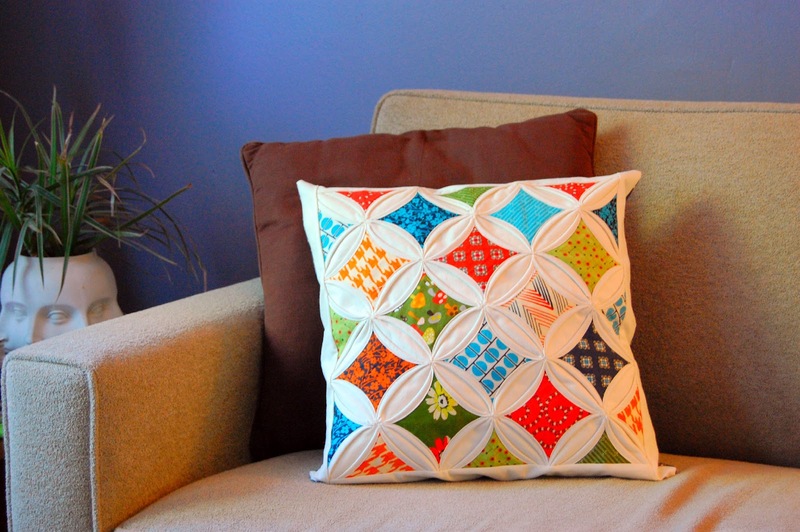 Did you know an old pillow case makes a great pillow form? Who doesn't have old pillow cases laying around? I trimmed a white stardard pillow case down to 18 1/4 inches, leaving two of the original seams intact. Then I sewed up the other two sides,minus a gap to fill it. I filled it with some fiberfill that I had laying around, and finished it off. It literally took me five minutes and it was essentially free! I like this pillow so much, that I now have a problem- I think I need a new quilt for my sofa... and maybe another pillow.... I could redo the dog bed, too.... 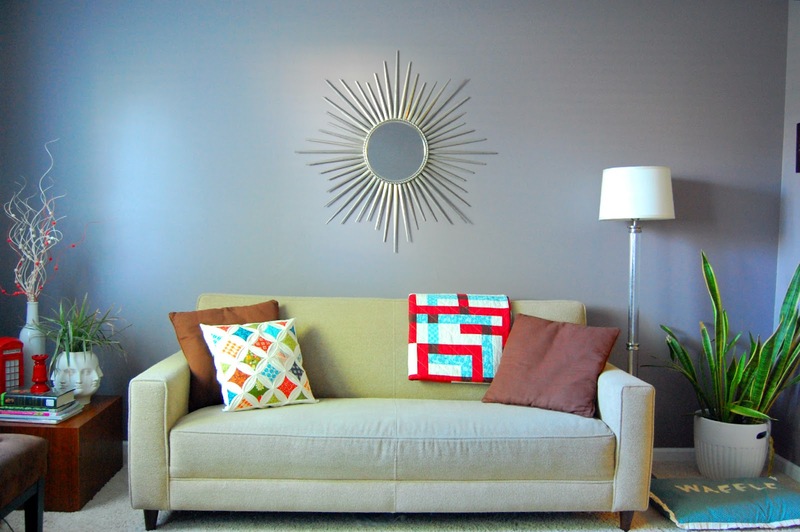 The other side of my sofa is just looking so lonely without a colorful pillow. And my poor old quilt doesn't match the new pillow. Oh, no. I'm feeling a room re-do coming on... That's the problem with small projects- They inspire larger ones! It turned out really nice! Looks great! Sounds like you have some more sewing ahead!